The next gen BMW Z4 is coming in 2018 and along with it, the new Toyota Supra built in association with BMW will get launched as well. The Supra is one of the oldest cars and is coming back into the competitive industry after a 14 year break. In order to cope up with growing demands and to make the car appealing to buyers, Toyota worked with BMW to build the best Supra possible. The car will feature both petrol and diesel engine variants while a hybrid version is on the cards. There is no confirmation if the auto brand has planned to launch all three of them together or postpone the hybrid to a later date after the initial launch. The hybrid version however will be amazingly powerful as it replicates the technology used in the Le Mans race car. The Toyota Supra deserves all the attention it could as the model is stylish, sporty and has the best design aspects that you would ask for. It features a long sweeping nose section that elongates the front fascia to offer a whole new look with a short front overhang. Being the sports car it is, the model can accommodate just two passengers and proudly sports a liftback styled tailgate. The brand has no plans to introduce a cabriolet open top version and the new Supra will feature a fixed roof design. 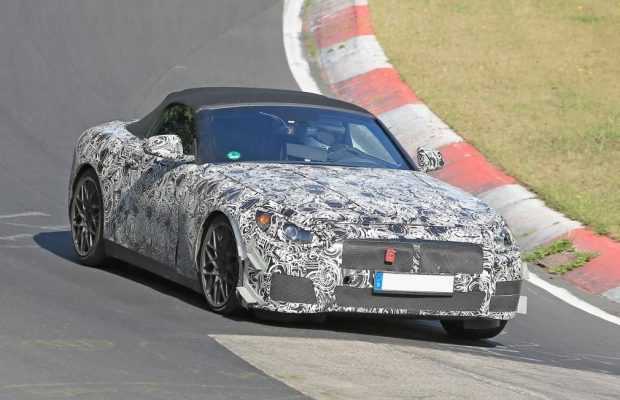 BMW Z4 scheduled for launch in the same year is quite different from what Toyota plans to offer. The new car is being developed to take on the Porsche 718 Boxter. Instead of the folding hardtop, the automobile manufacturer has gone with an easy to use, lightweight fabric roof design. The components and features found in the model will be similar to the ones found in the BMW 3 series. Designed to meet the requirements of the future, BMW Z4 will be mounted on a versatile platform which can accommodate both petrol engine and electric motors. From the way things are going, the company will most probably make it a four wheel drive, hybrid model that could sound appealing to a lot of buyers. The only catch is that they are supposed to keep the pricing at affordable levels. BMW Z4 is expected to be powered by a 2.0-liter four cylinder engine capable of delivering close to 250hp. The base model will use a rear wheel drive system with an eight speed ZF automatic gearbox setup. A performance driven variant will use a 3.0-liter six cylinder engine to draw increased horsepower.